Came home from camping last night to find that my big female Madagascar giant hognose snake (Leioheterodon madagascariensis) had finally laid her eggs. She looked to be on the verge of dropping for days and I was a little concerned since I was going to be gone for a couple of days, but the eggs looked great. A total of 14 eggs including two obvious infertiles. 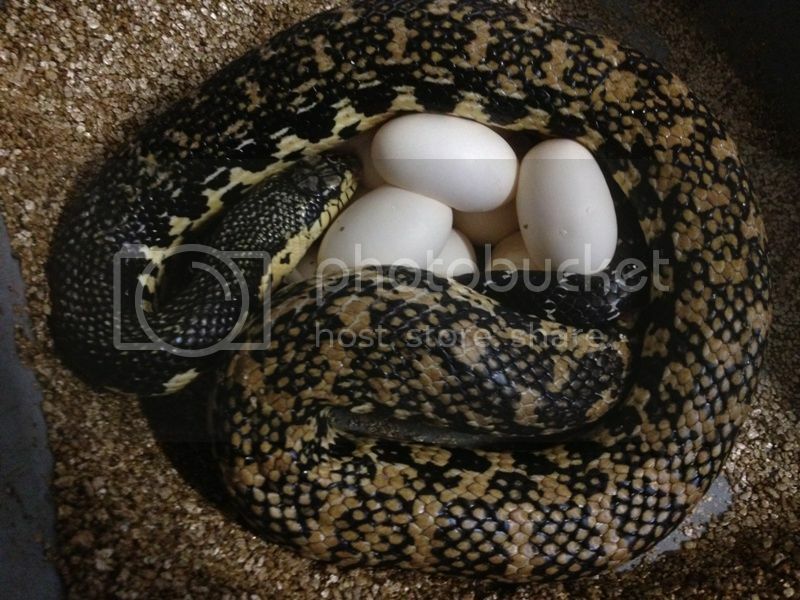 Last year's clutch took 81 days to hatch, and the hatchlings are huge (baby bullsnake size). Very cool and highly underrated snakes IMO. Very nice gila! Now you need to breed the other two! rsmith wrote: Very nice gila! Now you need to breed the other two! Are you still breeding these? I moved my pair down to the basement 62 ambient, 80F hotspot via heat tape. Wondering how long you left your snakes cooled and what degree of hotspot you used?